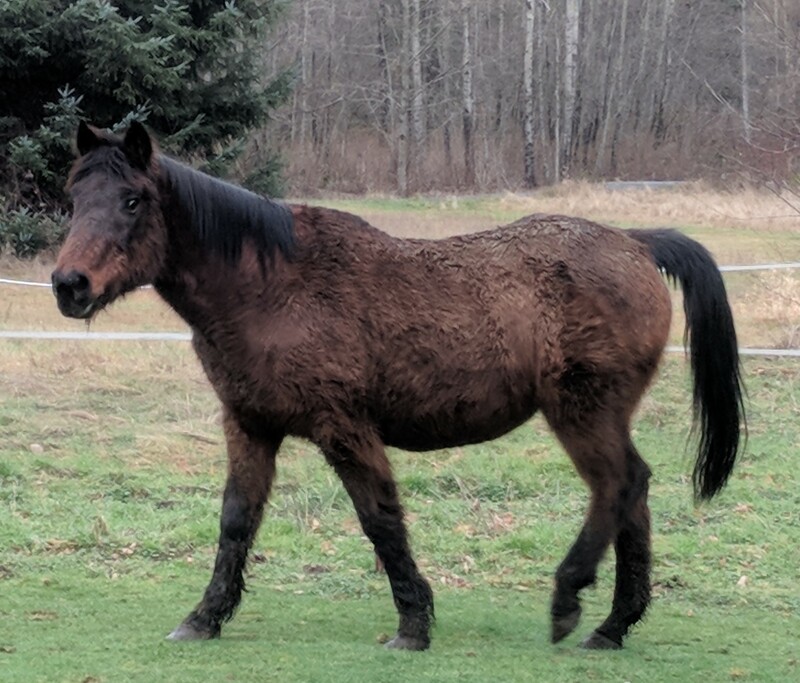 April was born and has lived on the same farm in Snohomish county for her entire 29 years before joining the Equine Aid herd in March 2018. She was left behind when her previous owners sold their home and the new homeowners took on her care. They are wonderful people who are both dealing with serious illness and could no longer care for April. At this time, we provide feed and health care and cover some care responsibilities. She was examined by our vet and had a dental float. She is in good health although her molars are pretty used up. 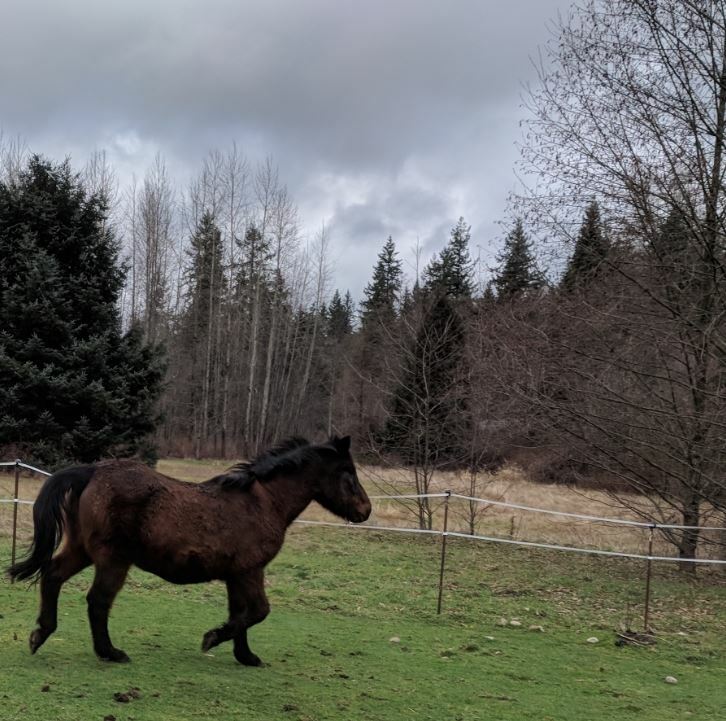 So we have added more mash to her diet and she loves grass. She has not been trained to ride. I handled her for her vet appointment and she was very well behaved and required no correction. However, she is sometimes hard to catch. 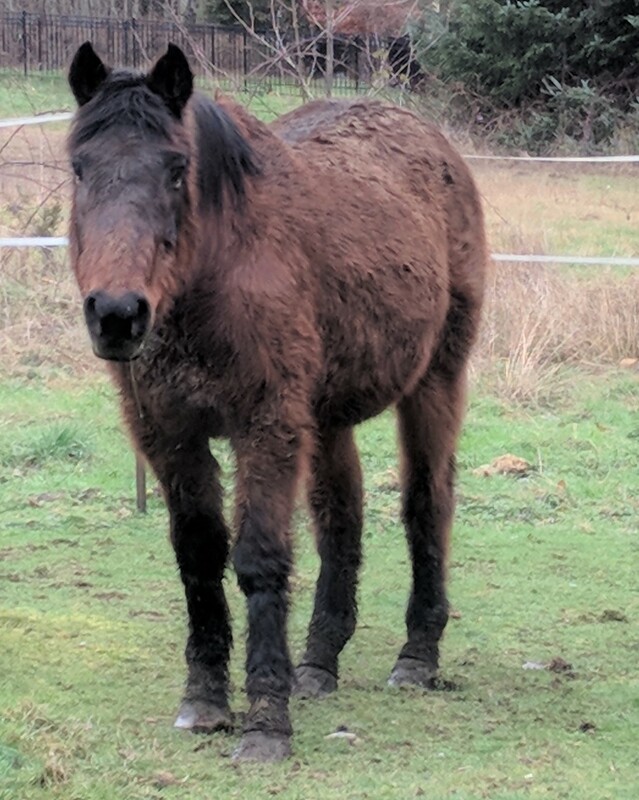 She will be a terrific companion to your equine. She is available on a gift contract.